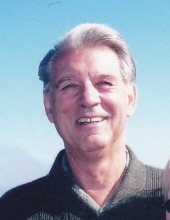 Celebrating the life of Joseph Edward Bell, Jr.
Obituary for Joseph Edward Bell, Jr.
Joseph Edward Bell, Jr. of Magnolia passed away, Sunday, February 3, 2019 at the Milford Center. He was 81. Mr. Bell was born January 4, 1938 in Staten Island, New York to the late Joseph E. Bell, Sr. and Marie Hangasci Bell. He served in the United States Navy for 4 years aboard the USS Leyte. He worked for Sears as an appliance technician for 25 years, and then 19 years he owned and operated his own business “Areo Appliance Repair”. Mr. Bell was a member of the Calvary Church in Dover and a commander of the Royal Rangers Boys Ministry. He enjoyed being with his grandchildren, taking trips with friends and family, helping and pleasing others. Mr. Bell is survived by his loving wife of 58 ½ years, Esther Vivian Bell of Magnolia, daughter, Sharon Yunghans and her husband Glen of Dover, grandchildren, John and Lynn Yunghans, and numerous cousins and extended family. Memorial services will be held 11AM, Saturday, February 9, 2019 at Torbert Funeral Chapel South, 1145 E. Lebanon Road (Rt.10), Dover. Friends may call one hour prior. In lieu of flowers the family suggests contributions be made to Royal Rangers Boys Ministry at Calvary Church, 1141 E. Lebanon Road (Rt.10), Dover, DE 19901. To send flowers or a remembrance gift to the family of Joseph Edward Bell, Jr., please visit our Tribute Store. "Email Address" would like to share the life celebration of Joseph Edward Bell, Jr.. Click on the "link" to go to share a favorite memory or leave a condolence message for the family.